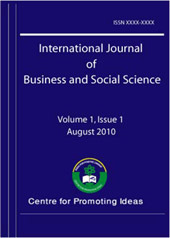 This paper encompasses Managerial acts and the personality of a Manger within an Organization and working ideology that formulates the theoretical framework of this paper is Islamic teachings in the light of Quranic verses and sayings of Holy Prophet(pbuh). There is a dire need to disseminate the true Islamic teaching in an un-biased, moderate and practical manner that advocates the preaching of Islam and paints the real picture of the said religion with true colors. The significance of this study is more than ever as every passing day is adding more fuel to the fire engulf between Islam and west. The principle ideologies of Islam are universal as the Holy Prophet(pbuh) was the last in the list and series of Messengers sent by GOD. Round the globe the level of uncertainty is on the rise, unrest in many countries and political instability has turned the corporate Managers into money minting machines and companies are trying to squeeze the last drop of blood out of their bodies in order to earn more. A Manager must be a role model and if Ethics is compromised then no organization would be able to survive in the long run and Islamic Managerial Ethics provides the foundation for framing this role model.